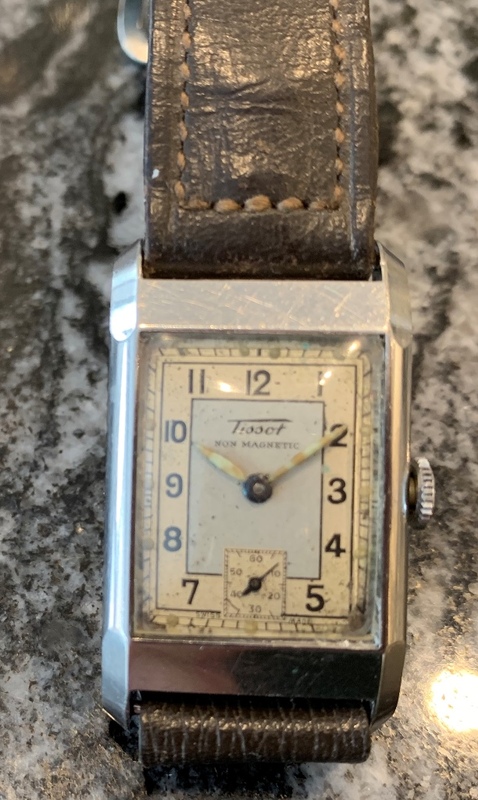 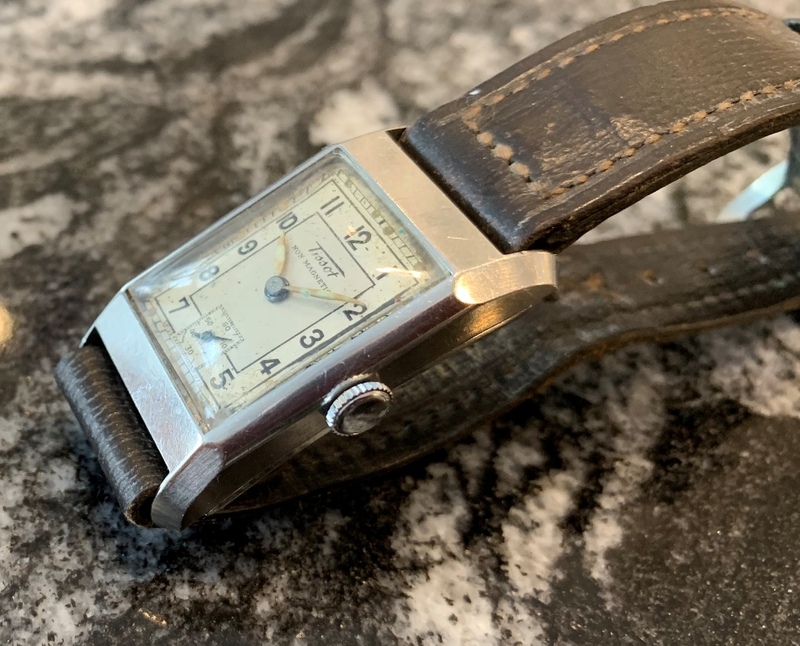 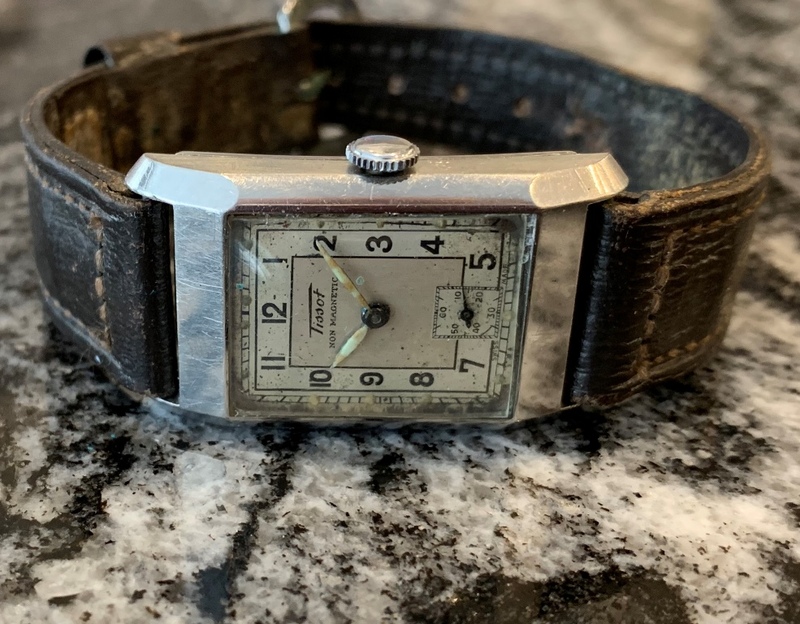 Tissot stainless steel (Staybrite) tank watch dated by serial number to circa 1935. 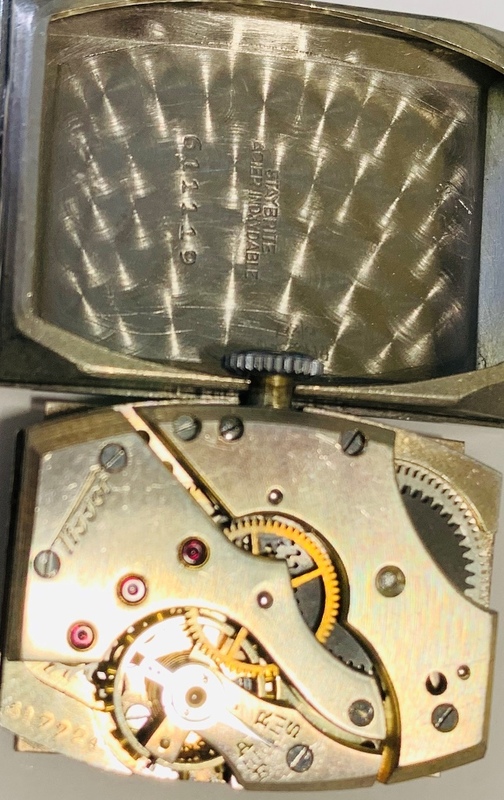 This watch has been recently serviced by our watchmaker and is ready to ship. 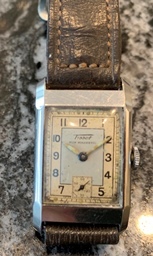 The dial and hands are original and untouched. 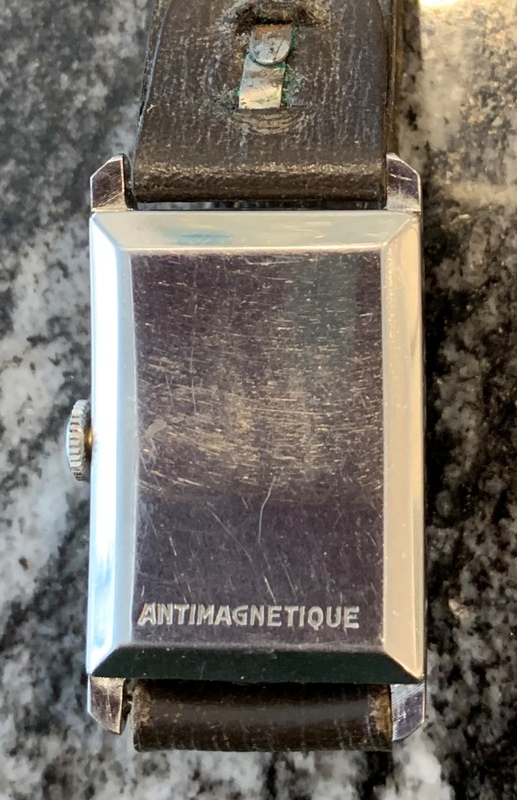 Photos are magnified and show details not seen by naked eye, the case measures 22 mm across (not including crown) x 37 mm lug to lug and is fit as found with an older leather bracelet.